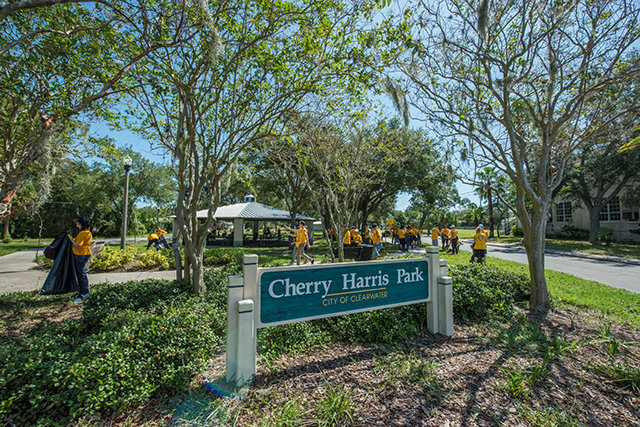 Volunteer Minister cleanup efforts expand into Cherry Harris Park in the Greenwood Community, clearing away debris and wreckage in the aftermath of Irma. 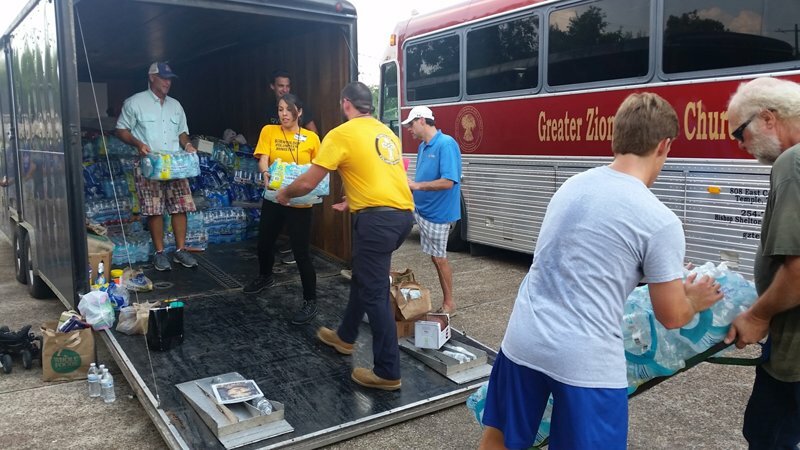 The Greenwood community is relieved by the outreach efforts of the Scientology Volunteer Ministers, providing their first hot food in days—as well as ice and fresh water—in the wake of Hurricane Irma. 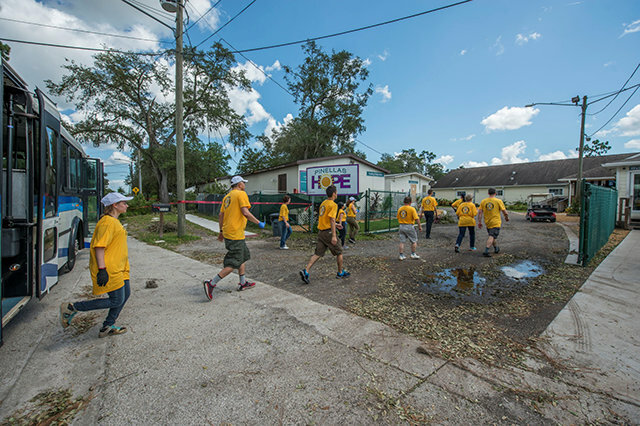 A team of Volunteer Ministers arrive to Pinellas County Hope shelter, brought much needed essentials and assisted in the clean up of the grounds, in the wake of Hurricane Irma. 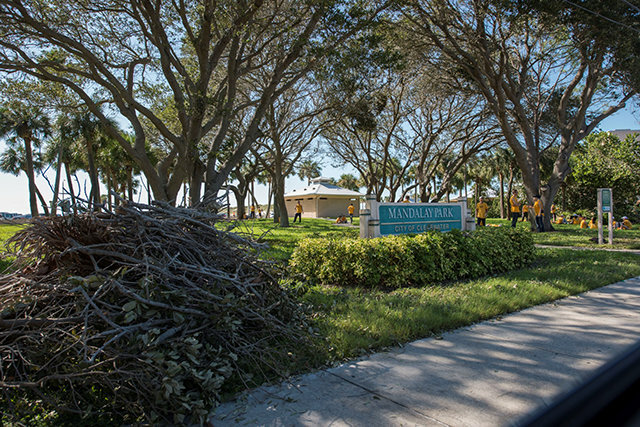 Scientology Volunteer Ministers descended upon Mandalay Park after extensive cleanup efforts on Clearwater Beach, to help bring the city back to normal. 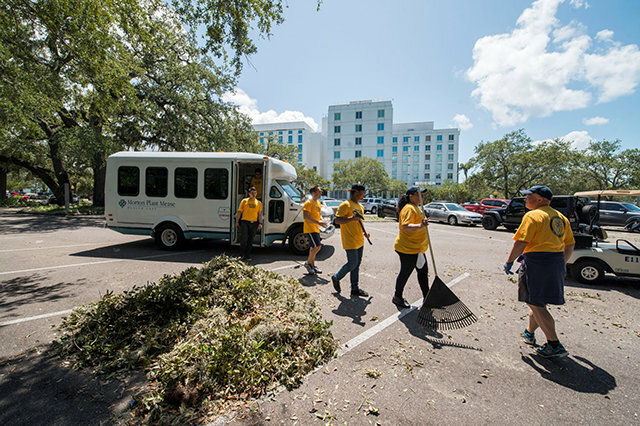 Volunteer Ministers help hospital staff clean up the Morton Plant Hospital parking lot after it was littered with leaves, fallen branches and moss from Hurricane Irma. 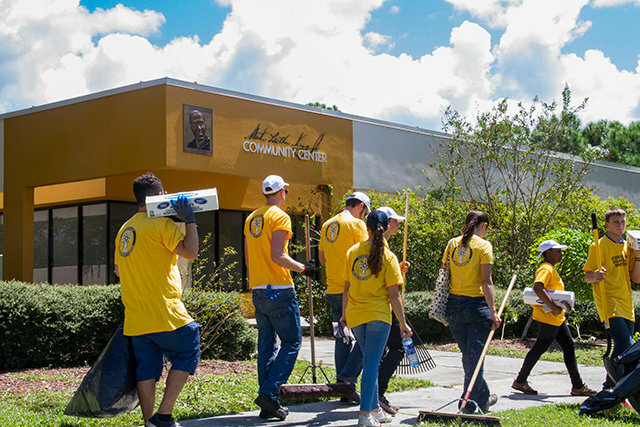 Arriving at Martin Luther King Jr. Community Center, Scientology Volunteer Ministers carried out cleanup and provided ice and necessities to the Greenwood community after Hurricane Irma. 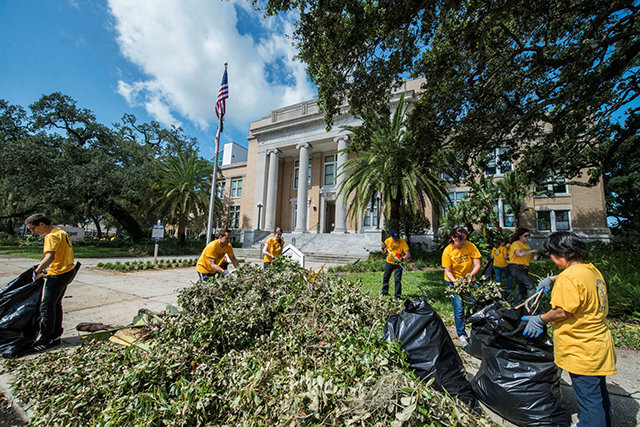 Scientology Volunteer Ministers spread out further in their clean up efforts throughout Clearwater, in the aftermath of Hurricane Irma. 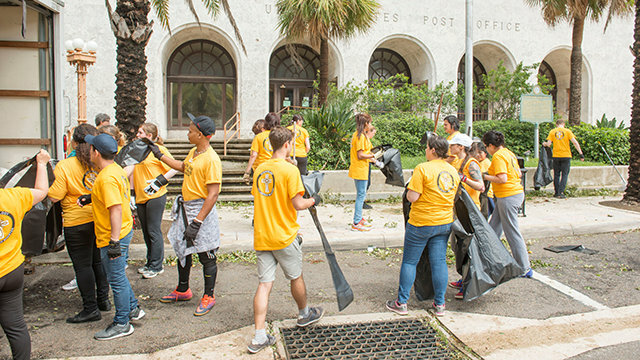 A team of Scientology Volunteer Ministers (VMs) arrive to Clearwater Beach and begin their efforts to clean up the aftermath of Hurricane Irma. 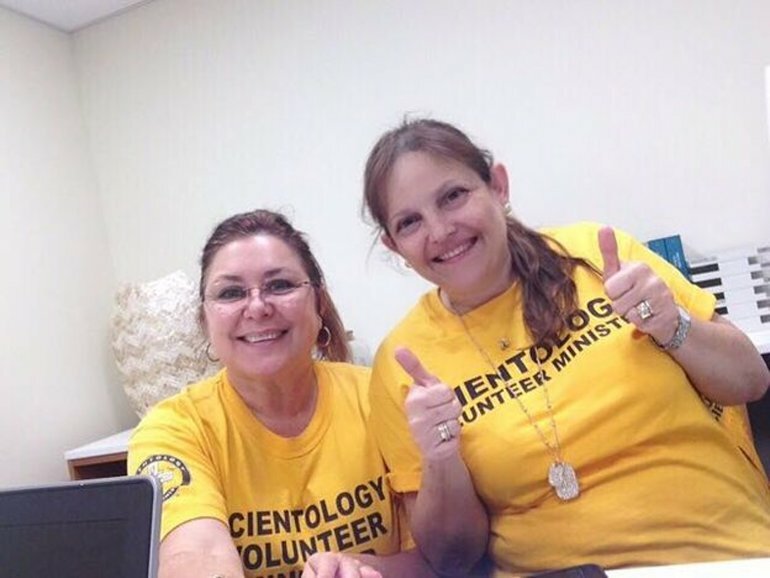 Scientology Volunteer Ministers (VMs) are working all over Clearwater to assist in the cleanup efforts of the city. With attention now riveted on Hurricane Irma, more than 50,000 are still displaced in Houston and neighborhoods are flooded. Help is still needed in Texas. 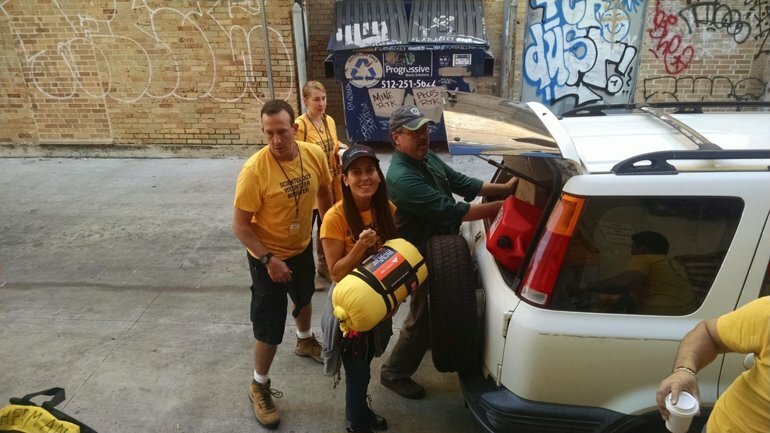 Teams of Scientology Volunteer Ministers continue to arrive in Houston to help Texas recover from Hurricane Harvey. 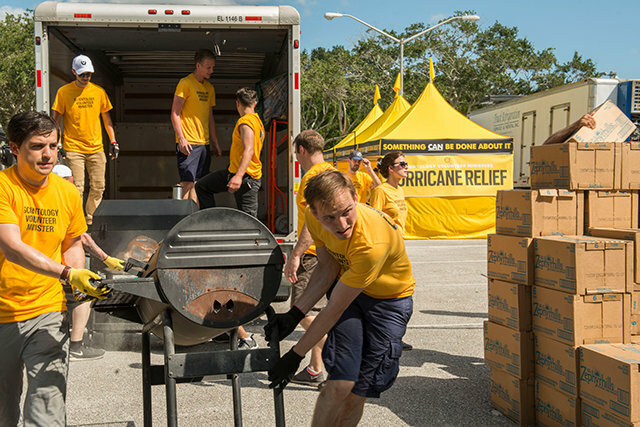 The Church of Scientology Miami, designated as a Disaster Relief Resource Center, is available for help. 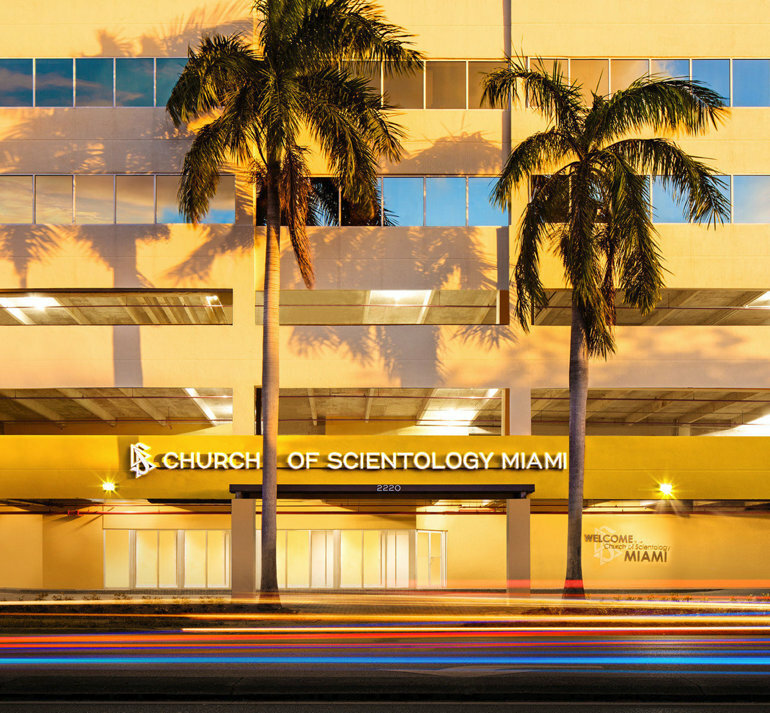 Located at 2220 South Dixie Highway, the Church of Scientology Miami will stay open with a few dozen experienced Scientology Volunteer Ministers when Hurricane Irma makes landfall. Radio and TV personality Kerri Kasem, in Texas with the Scientology Volunteer Ministers, raises funds for Rockport, a community that was all but destroyed by Hurricane Harvey, and to save the life of a Rockport child. Church of Scientology Miami in Coconut Grove will serve as a Disaster Relief Resource Center for Hurricane Irma. To ride out the storm with the least possible damage to their families and possessions, Miamians are urged to prepare for the hurricane now.